During the weeks I spent in Prato, I often stopped by the bubble tea cafe on Via Pistoiese to talk to Claudia and Silvia, who served me numerous sweet, milky teas with chewy tapioca “pearls.” Here Korean pop videos played on the overhead TV. Young mothers came in pushing strollers and droves of teens descended after school. Claudia and Silvia were both 18, but Claudia, who was taller and more confident, seemed older, even a bit jaded. Claudia’s family owned a pronto moda shop — not a factory, she stressed — and she had lived in Prato for seven years. Silvia, quick to smile, came to Italy four years ago. She told me her grandmother had raised her; until she was 14, Silvia lived in China while her parents worked in Italy. Claudia had made Italian friends at her high school, but she hadn’t seen them since she dropped out of school earlier that year. 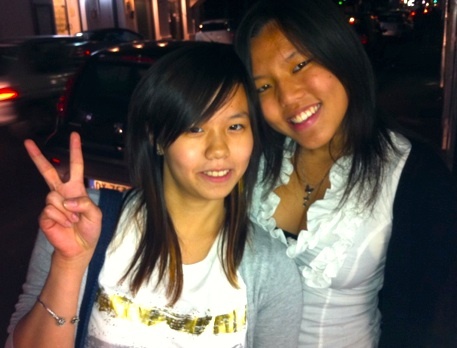 Like a lot of Chinese teenagers in Prato, Claudia left school so she could work. Claudia said her Italian wasn’t good enough for her to go to college, and anyway, a college degree didn’t guarantee a job. The cafe’s hours were long — Claudia and Silvia both worked 11 hours a day — but the job was easy enough and paid as well as a job at a clothing factory. They had one day off a month. 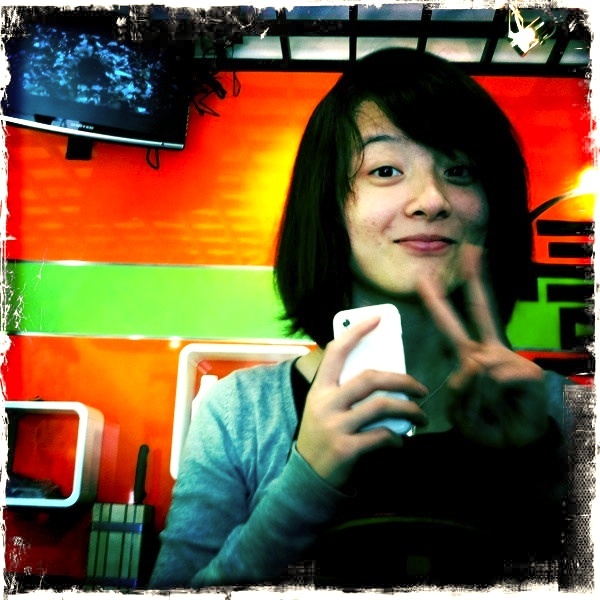 One afternoon, two young Chinese women walked into the cafe. They peered at the menu on the wall for a while, then asked Silvia what it said. I asked, in Mandarin, where they were from. Irene lived in Pisa and was visiting Prato for the weekend with her cousin Lilli, who lived nearby in Florence. The cousins were shopping for a dress for Irene’s 18th birthday party, which would take place in a few weeks and, based on what they said, was as important as a sweet sixteen party and prom combined. Irene expected to get a car from her parents. We spoke in Mandarin for a while, then switched almost entirely to English. Irene and Lilli were the same age as Claudia and Silvia, but they came from a different world. They were not immigrants. They spoke Italian at home and they socialized mostly with other Italians. They planned to go to college. They weren’t even the family’s first generation to be educated in Europe; Lilli’s mother had left China and moved to Portugal as a teenager. Lilli admired Jean Paul Gaulier and Alexander McQueen and wanted to be a fashion designer. She already knew how to cut cloth and sew, she said, because her relatives worked in the garment industry. The three of us left the cafe and checked out the stores on Via Piestoiese. In the bridal shops, where dresses could be rented for EUR 35, the girls tried on dresses. It was a tumble of red and white satin, everything bedecked with sequins and tulle and lace. The cousins raved about Italian food. They listed all the foods they loved: milk, cheese, chocolate, nutella, coffee. “Ooh the pasta!” they said, almost groaning. They advised that I eat parmesan with honey or grapes, or pair pecorino with ham. Lilli explained what Chinese people were like in Italy. They named their daughters Eliza and Monica, and their sons Marco and Angelo. If they were younger, they often worked in the factories, sewing buttons or small pieces. “They don’t know how to enjoy life,” Lilli interjected. How Italian they sounded, I said. “Yes, because we are Italian!” they said. Would Claudia and Silvia ever feel the same way about Italy? Would they think of Italy as their home? I didn’t know. But I was sure that even though they spent their days in a cafe in Chinatown, they dreamed of lives with greater freedom, more money. Claudia thought she would probably get married and then open a pronto moda business with her husband, just like her parents did. In the meantime, she was looking forward to her next day off. She planned to practice driving so she could get a license. Interesting that you befriended the girls in the bubble tea shop too. I recently came back from Prato to do research and became friends with the girl working behind the bubble tea counter (not named Silvia, different girl) and she seems to share the same sentiments. She wants to stay in Italy to live because she enjoys the company of her friends. I’d be interested in talking to you more about Prato. It’s interesting you interacted with people at the bubble tea shop too. I did the same for my research when I was in Prato, though I think there was a different girl working there by March.